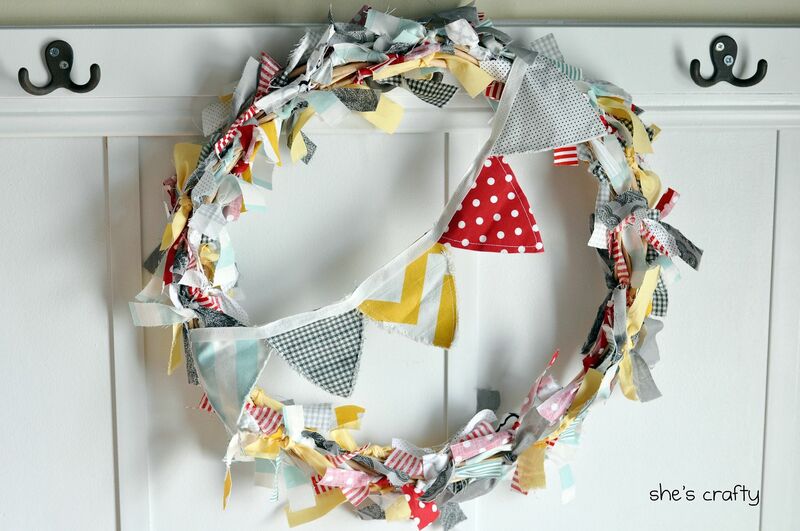 How about a fun little pennant rag wreath for Spring? I forgot to take photos of the process, but it's very simple. 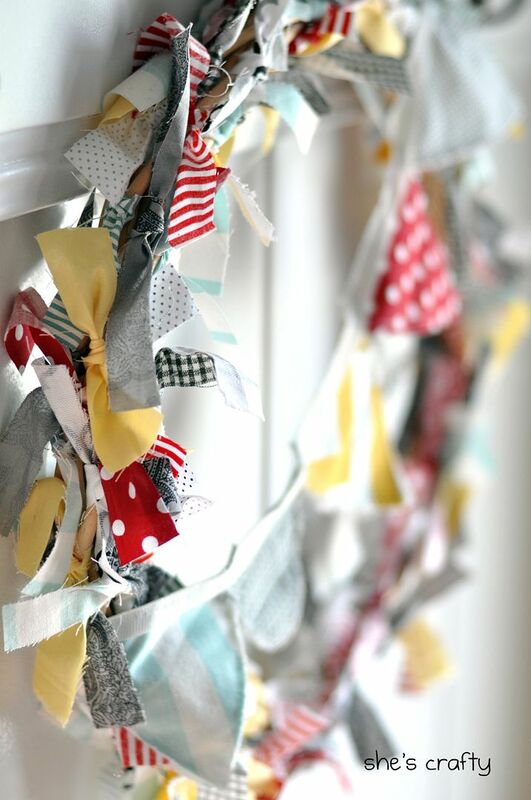 *Cut your fabric into many small strips. Mine were about 1 inch by 6-7 inches. *Tie each strip onto a vine of the wreath. It takes a bit of time, but it's easy and mindless. * vacuum yourself and the floor around you. The fabric sheds!! Oh my love this! I'm adding this project to my list - thanks for sharing! 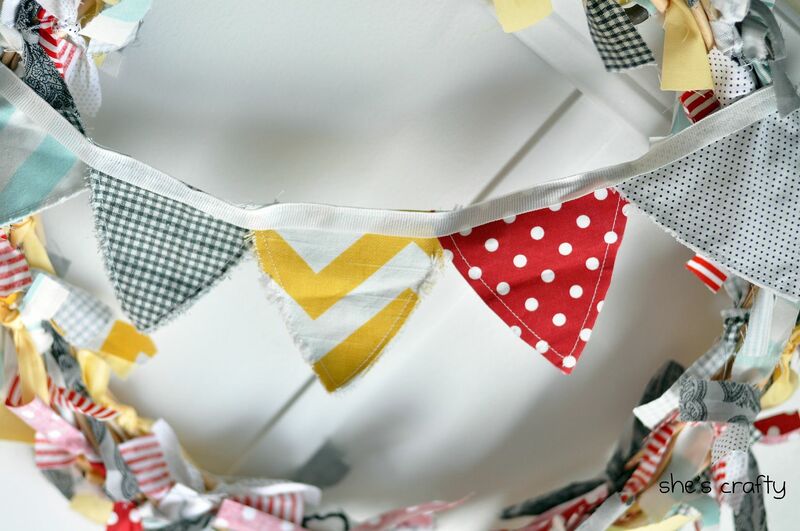 Very cute, love the bunting on it! oh...sooo cute! love the addded little pennant! great job!! This is just so cute. Thanks for linking up to Mauvin' Monday! That is so cute, love it! I would love for you to share this (and any other creations) at my new linky party "Pin It and Win It Wednesday" @ www.cheapcraftymama.com! Super cute, fun and colorful... LOVE IT! 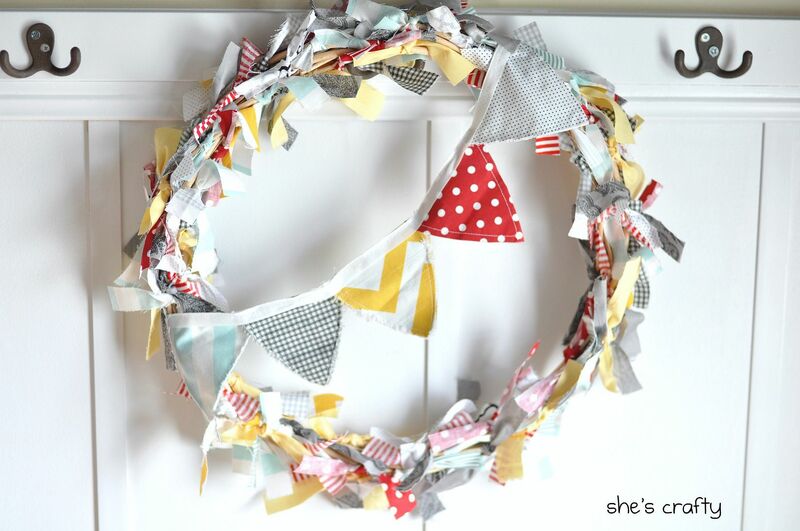 I adore your wreath and the color combo is fab! I would love for you to come by and link it up to my party happening NOW! I would love to have you there! What an adorable wreath! 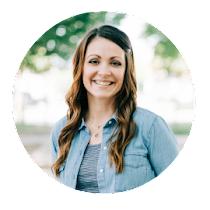 I'm featuring you on Laughter and Grace's Fabulous Five this week! Your wreath and banner are so pretty and bright! I'm so happy that you shares this at Sunday Blog Love. This will be featured this weekend, hope you will link up again this weekend. I've also got a giveaway going on now! This is so cute and I love the fabric and colors you chose. Thanks for linking to the party. I'm featuring your wreath tonight. This is so totally up my alley! :) can't wait to give it a whirl! !